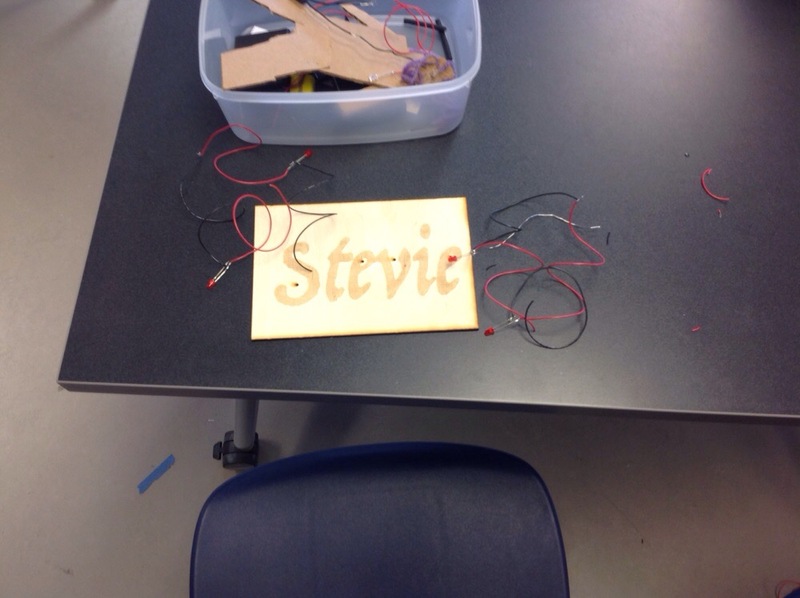 Project Description: My project is a laser cut name plate of my buddy's name that lights up with red LEDs. What were the most challenging parts of the project: I had trouble at first soldering, and by practice I got much better at it. What was the most fun? My favorite part of the project was soldering. What did you learn by going through this process? 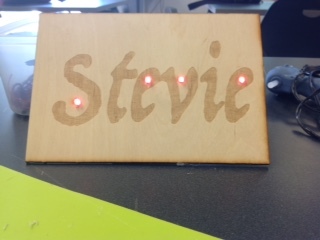 I learned how to solder, and I learned how to design my laser cut. 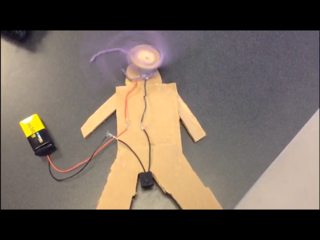 Project Description: My project is about a motor starting a having a person have their hair spin around. Most Challenging Parts: When my hair would not spin I was really disappointed and frustrated, but I fixed my problem by cutting the hair. What would you change: I would make the dude's body better crafted and have the project look better.